I’ll tell you why I love receiving a hamper… it’s full of stuff that I’ll actually USE and won’t be left trying to find a home for all year. Don’t get me wrong, I love presents, BIG TIME. However, as I’ve grown older, made my own home, have my own family, and have developed my own (very particular) aesthetic tastes I’ve become more fussy. Sometimes getting a gift from an acquaintance of say: a teapot, a vase, a salad bowl, some candle holders…you get the drift, just doesn’t really thrill me to the back teeth. I’ve got a house full of things and I don’t need another ‘item’. Which brings me back to the brilliance of a hamper! I can EAT and DRINK all of the things in it! And even if they’re not all my favourite things I can bring them out to share at one of the multitude of holiday events that pop up at this time of year. We’ve got two hampers for sale this holiday season, one contains a range of organic tasty treats, all parcelled up in an attractive recycled box, the other contains those yummy treats, and CHAMPAGNE! I’m betting money that you’ve got someone in your life who would be happy with either (or both!) of these scrummy hampers. You know who I mean (Aunty Beryl who has everything you could ever need, a dear friend who lives miles away, your colleagues or employees), I’m sure you’re already compiling a list and tallying up the numbers. If you’re not so keen to buy a whole hamper, we do have our hamper items for sale individually. You might like to pair them up with a favourite wine, pop them in a gift bag and hand them out to children’s teachers, or ‘drop in’ friends. Honestly, you can’t go wrong with a good organic wine and a delicious organic treat for a Christmas gift. GOURMET ORGANIC HAMPER: This is a lovely selection of Australian Organic goodness; including your choice of a range of Alter Ego Fair Trade, organic chocolates and truffles, Rosnay fig preserve, Carwari Organic Salted Roasted Cashews, Bodhi Farm Organic Tassie Blend Dukkah, Pure Origins Organic Leatherwood Honey. Did I mention, delicious? Just add one or more of your favourite wines and you will have a fantastic gourmet organic gift. 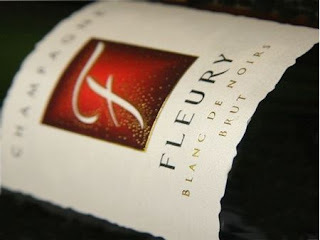 CHAMPAGNE GOURMETORGANIC HAMPER: This hamper contains all of the above tasty goodness, and a bottle of Authentic Organic and Biodynamic Champagne - Fleury Blanc de Noirs. This is a delicious wine, and even without the additional gourmet adornments would be a lovely gift. We are only stocking limited quantities of this Gold Medal winning Champagne, and with the toasty aromas, hints of apple, almonds and nectarines and the well balanced acidity with minerally notes, we won’t be able to keep it on the shelves for long. You are, of course, welcome to substitute the wine for a sparkling to suit your taste or budget. Just click here to peruse our hamper items and place your order! if you want these items to arrive in ample time for Christmas, with no stress or fuss, please place your order as soon as possible. Gemtree Organic and Biodynamic Wines.